Dr. Lagasse is the owner of the Riverside Veterinary Clinic. She was born and raised here in Haverhill, MA. After graduating from Haverhill High School in 1977, she attended Michigan State University for two years and the University of Vermont for one year. She was a member of the second graduating class at Tufts School of Veterinary Medicne in 1984. Upon graduation, she returned to her hometown of Haverhill to practice. In 1988 she and Dr. Crawford started the Riverside Veterinary Clinic. 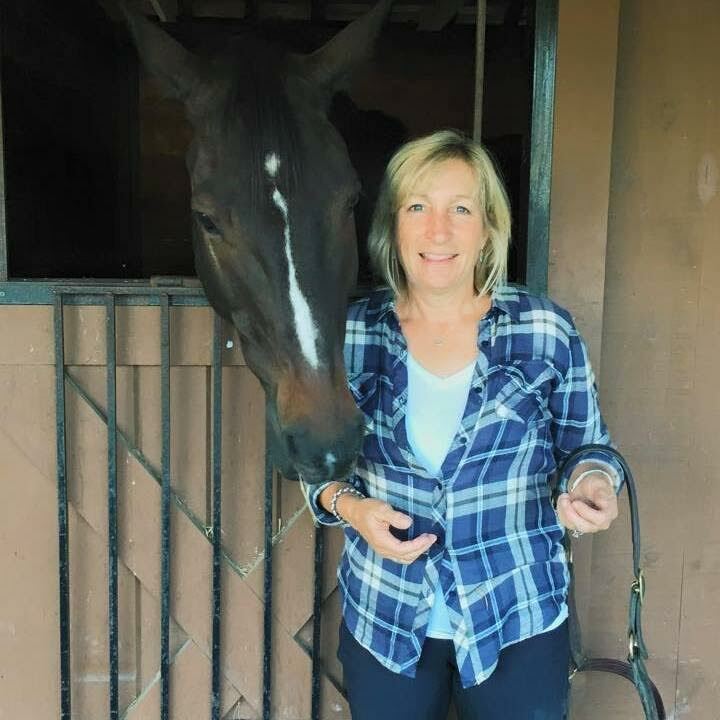 After thirty years Dr. Lagasse enjoys all aspects of veterinary medicine and surgery, she especially enjoys client education and forming relationships with her clients and patients. Dr. Lagasse resides in Newburyport with her husband Michael and their two sons Robbie and Greg. When not at the clinic, she enjoys tending to her home and gardens, riding and caring for her two horses, playing with her three dogs and two cats and watching over her chickens and quail. She also enjoys cooking, sewing, running, biking, skiing, snowmobiling, camping and spending time with family members. Dr. Owen has been at home in New England for over 20 years, but grew up in Oklahoma, Texas, and Louisiana. 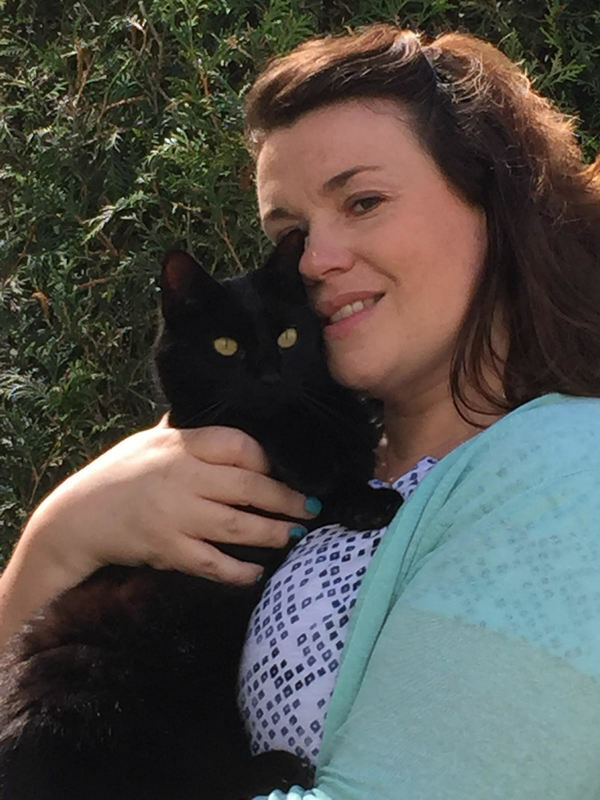 Before attending Veterinary School she worked at a medical research foundation and oil company where her jobs ranged from a Chemist to a New Products Manager. She received her Doctorate of Veterinary Medicine from Oklahoma State University in 1991 and took her first job at a very mixed animal practice in Texas. There she saw a wide variety of animals from cattle and horses (many mustangs) to zebras, lions, and her favorites..dogs and cats. 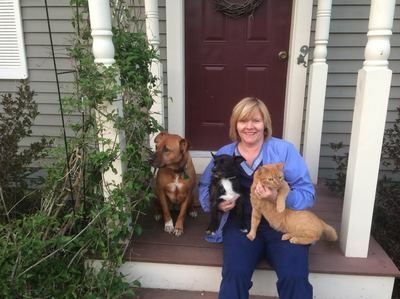 After visiting and falling in love with New England, she worked at Stratham Veterinary Practice in New Hampshire for several years before joining Riverside Veterinary Clinic in 1996. She most enjoys the great client and patient relationships developed over the years and the challenge and diversity of general practice. 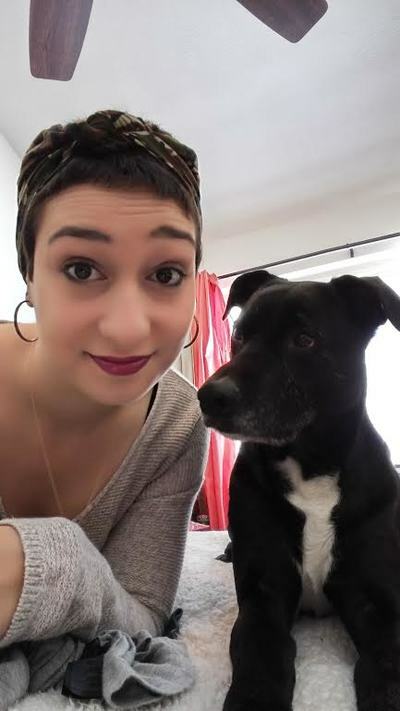 She lives in Hampton Falls with her husband Mark, their Doberman Shelby (who you may see around the clinic begging for cookies) their rescue dog Jule and their three cats Peter, Kenny, and Jake. She enjoys traveling with her husband as he transports horses and sometimes rescue dogs around the country. 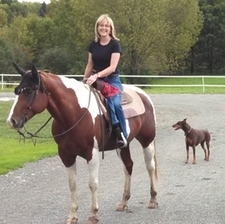 In her leisure time she likes gardening, hiking, and taking care of her horse Willy. Dr. John E. Ledoux was born and raised in Nashua, N.H. He attended Bishop Guertin High School and was graduated in 1982. He then went to the University of Pennsylvania and received his Bachelor of Science in 1986 and his V.M.D. in 1990. He took his first veterinary position at the Bethlehem Veterinary Medical Center , a ten doctor practice in Bethlehem, Pennsylvania, where he received extensive private practice experience in surgery, medicine, emergency medicine and ultrasonography. 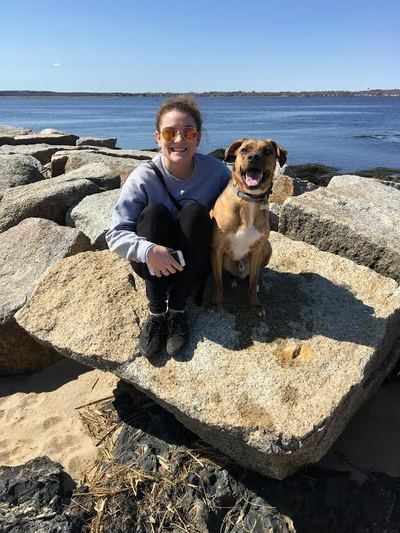 Desiring to move back to New England, he accepted a position at Andover Animal Hospital, where he worked as an associate and eventually the hospital medical director until 1999. In 1999, Dr. Ledoux moved to the Riverside Veterinary Clinic as well as started Mobile Ultrasound Service, servicing many of the surrounding clinics in the Merrimack Valley. Outside of veterinary medicine, Dr. Ledoux's current passions include reading, running, music and spending time with his wife, Dr. Lori Gordon and their two sons. They share their house with one dog, Davner Abigayle Gordon Ledoux. ​Dr. DeFanti is a 1991 graduate of Oklahoma State University and has been practicing in the Seacoast area for over 20 years. He has spent over half of this time in emergency medicine and has special interests in soft tissue surgery and dentistry. Outside of work he enjoys reading, listening to music, fine cuisine, and motorcycle riding. He lives with his wife, Michelle, a certified veterinary technician, their 5 cats, and many chickens. 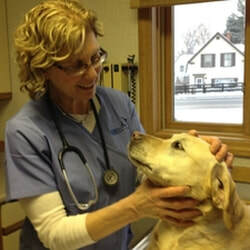 Dr. Defanti has worked as a relief veterinarian here at Riverside for many years. In 2015 he joined the staff as a full time veterinarian here at Riverside. Dr. Anderson was born and raised on the North Shore in Massachusetts. From the age of 3 she knew she wanted to become a veterinarian. 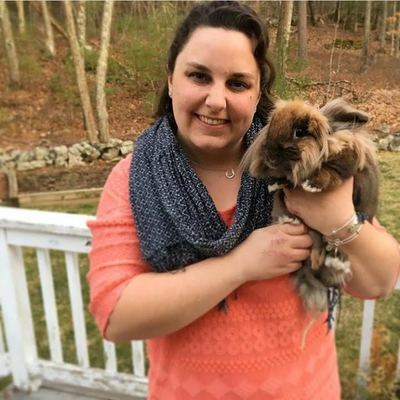 After graduating from Peabody High School in 2009, Kaitlin attended the University of Massachusetts Amherst where she received her bachelor’s degree in animal science in 2013. 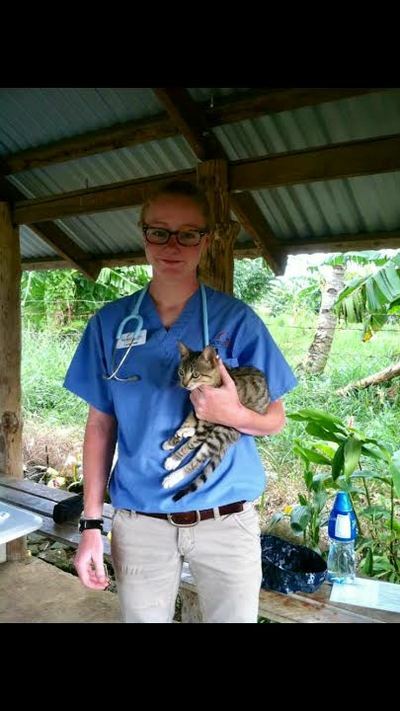 She then went on to receive her DVM from The Ohio State University in 2017. 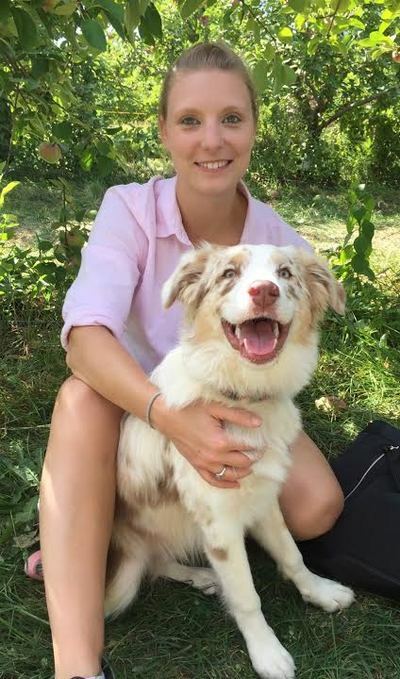 During her time in veterinary school, Kaitlin volunteered at the Ohio Wildlife Center and worked as a gymnastics coach at a local gym (Kaitlin was a gymnast for 11 years). After spending 4 years in Ohio, Kaitlin was ready to head back home. She took her first job at an emergency clinic in central Massachusetts. Desiring to move even closer to home, she then joined Riverside Veterinary Clinic in November 2017. She recently began volunteering her time at the spay/neuter clinic at the MSPCA. Kaitlin lives with her boyfriend, Chuck, their dog Logan, and two cats, Paul and Cider (an RVC adoptee!). Outside of veterinary medicine, she enjoys traveling, reading, being outdoors, and spending time with family and friends. She is also a fan of all things Harry Potter.